I observed in one of these huge gardens that the gardener was tightening the bolt of his lawnmower and getting it ready for work. He cleaned the blades and started to run the lawnmower over the grass. Those tiny heads of some of these grasses which were overshooting the heights of their neighbours were chipped off and they followed the Law of Equality (at least in terms of height). As the process continued I observed that the grass strands were bending in the direction in which the lawnmower was rolled. The moment the same lawnmower hit the grass in the opposite direction, all these strands bent in the opposite way. The lawnmower was the decision maker on which direction should the grass strands bend. The billions of people running around in their daily lives are very much similar to these grass strands. The governments or perhaps, the people forming the governments are the lawnmowers, who can make the people follow the direction that they show. The law might switch through several amendments, wherein the second amendment might just be the undo of the first one. Nonetheless people got to follow it and work as per the existing law. Coming to the plane where many folks of our kind inhabit, we are in the wee generation which has the ability to get influenced by the many trends that keep coming and going. There is nothing called right or wrong; there is nothing called picture perfect. Movies influence us, the girls/boys next door or next class can change our lifestyle without even talking to us. There is no strict regime of culture that can hold all the people. 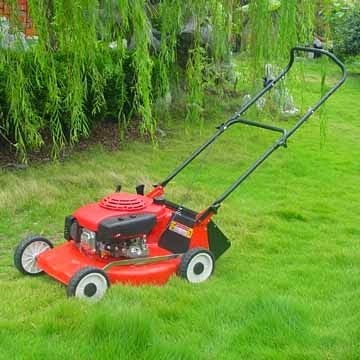 We are like those grass strands which bend as per the influences that are cast on us by people (similar to lawnmowers) in our surroundings. Fortunately or unfortunately there is not just one lawnmower; there are many of these which are trying to run around and get all the grass following only them. The question is- Do you want to stay as a grass strand unbalancing around or do you want to be the lawnmower? It's up to you to choose a life that moves as the life takes you or be the champ who moves the life the way you want to. As the old saying goes, "If you don't utilize your time, someone else will for sure", there is no option of being independent of the two choices. If you are one such sturdy weed, then you will be ripped off from your routes right then and there. You ought to choose. You got to choose whether to bend your head or make others' heads nod to your choices and decisions. Only then is there a scope to exist in this world. Living life doesn't mean to be just in existence, it means to live the life the way it deserves to be lived.